I am a huge reader. I love books. I love collecting book. I love the smell of books. I love going to bookstores. And as a bookworm who also happen to love watching K-dramas, this is everything. I mean it. The casts are EXCEPTIONAL. All the crying scenes are just daebak! They are also effectively funny (or at least for me). There are many supporting characters given the setting of the story, but the important ones had their time to rightfully shine and have their own stories and character developments. The production did a great job in choosing these casts. As a bookworm myself, and someone who is also personally related to book publishers to some extent, I just want to express my massive appreciation to the producers for not making the "romance" overshadow everything else. In fact, rather than the romance, I think I paid more attention to the message about books. The will to express the passion of the people behind the books we read, the essence of creating books, the references made about books in correlation to the characters' life experiences. I just love everything! And I learned a lot about the behind the scenes of book publishing — the editorial part, the printing and marketing. Ah, really AMAZING! Not only that — the way they approached and tackled different sensitive topics like mental illness, marriage and divorce, was stellar! I watched these parts with heavy heart because they felt so real. ALSO, mad props for showing a positive representation of the LGBT community. Although it was rather short, it wasn't forced, it was just there so casually, so subtle, so right! I haven't gushed over K-drama in a while. 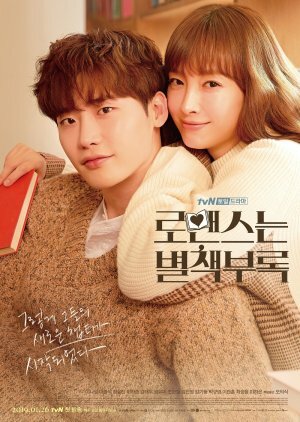 Romance is A Bonus Book is definitely going to my "All-time Fave K-drama list". Totally recommending this to my bookish friends! "The moon is beautiful." — I love this.